The Aeolian Islands are a dramatic series of islands and tiny islets off the north coast of Sicily, all created, and some still being created, by volcanic activity. 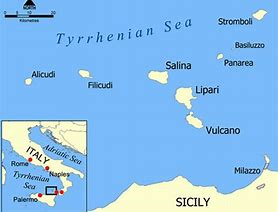 Sailing from the Sicilian port of Capo D'Orlando, we will visit the islands of Vulcano (where 'volcano' was derived from), Lipari, Salina, Stromboli and Panarea. There will be plenty of time for swimming and exploring the islands, and in the evenings we will explore the restaurants of the ports and villages where we spend the night. Our on board chef will provide some fine lunches using local ingredients and recipes. The cuisine is very important for us and our highly skilled chef is a specialist in the preparation of traditional Sicilian dishes, such as pasta with sardines, fish couscous, busiati (a type of pasta) and many other specialities, served in a comfortable dining room surrounded by breathtaking scenery. There are 6 double cabins all with ensuite shower and W/C, and air conditioning. Embark our gulet in Capo D’orlando at 16.30. Welcome cocktail on board and beginning of the cruise. We depart and sail to Panarea Island. Breakfast on board. We will stop for a swim at the uninhabited volcanic (now extinct) islets of Lisca Bianca and Bottaro, a great place to spot a submarine volcanic formations at few metres of depth. Lunch on board and before we sail around the islets of Lisca Nera and Dattilo before arriving in Panarea. We go ashore on Panarea to visit the beautiful village of St. Pietro. Panarea is just 2.5 x 1.8 Kms and has just a few hundred residents. There are a few restaurants and cafes and, with luck, you can sit and have dinner while watching nearby Stromboli smoke and occasionally emit lava. Evening in Panarea. Breakfast on board. We leave Panarea and head to Stromboli. Sailing along the islet of Basiluzzo. Arrival in Stromboli in the late morning. Lunch on board and after free time to explore the island. Stromboli is basically a 900 metre high active volcano, but a few hundred people still live on the island and it is sometimes possible to trek to the top (take a guide). Dinner at your choice in Stromboli. Breakfast on board and we will sail around Stromboli. Lunch on board while sailing to Santa Marina di Salina where we will moor and have free time for sightseeing. Santa Maria is a beautiful fishing port founded in the 4th century and has some beautiful buildings. Free evening in Santa Marina di Salina. Breakfast on board while we tour Salina Island by boat. Stop for a swim in the magnificent Bay of Pollara before we take Lunch on board and sail to Lipari Island with a stop for swimming in Canneto. Arrival at Lipari in the evening. Lipari is the largest of the Aeolian Islands, and the defacto capital. Lipari is a beautiful island with green volcanic hills, beautiful towns and villages and some ancient fortresses. There is a range of restaurants and cafes. Free evening. Breakfast on board, then free time to visit Lipari town and its volcanological and archaeological museums. Sail Lipari - Vulcano along the famous sea stacks - Lunch on board in Vulcano. Free time for sightseeing and to enjoy Vulcano hot springs (optional). Vulcano is the island from which 'volcano' was derived. There are a host of volcanic features including an active volcano. Dinner at your choice in Vulcano. Overnight on board. Breakfast on board and then sail around Vulcano. Stop for a swim at Venus’ pool and visit to Grotta del Cavallo. Sail along the west coast of Volcano to the small port of Gelso. Lunch on board. We sail to Capo D’orlando via St. Antonio bay where we stop for a last swim in the beautiful Mediterranean waters. Night on board. Breakfast on board and disembarking at 9:00 a.m The program is subject to changes due to weather and sea conditions at the time of the cruise. 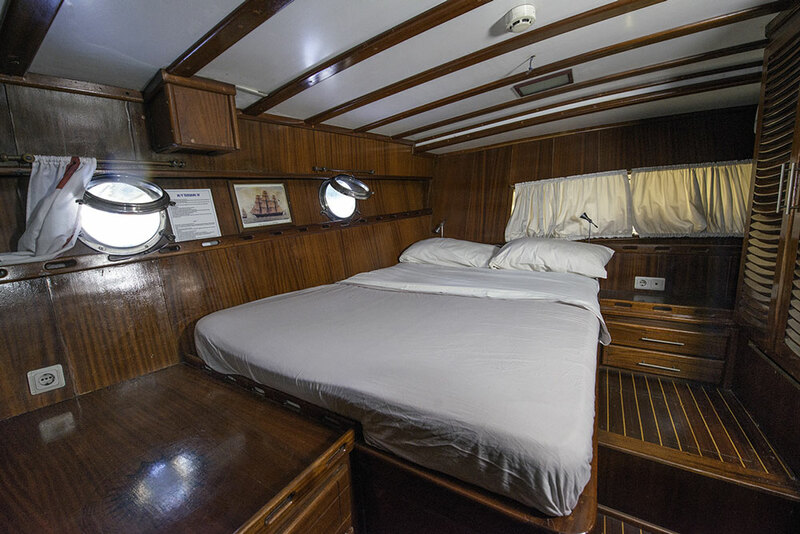 For ensuring the crew and guests’s safety any change of the schedule is at complete discretion of the captain. Embark our gulet in Capo D’orlando at 18.30. Welcome cocktail on board and beginning of the cruise. We depart and sail to Panarea Island. 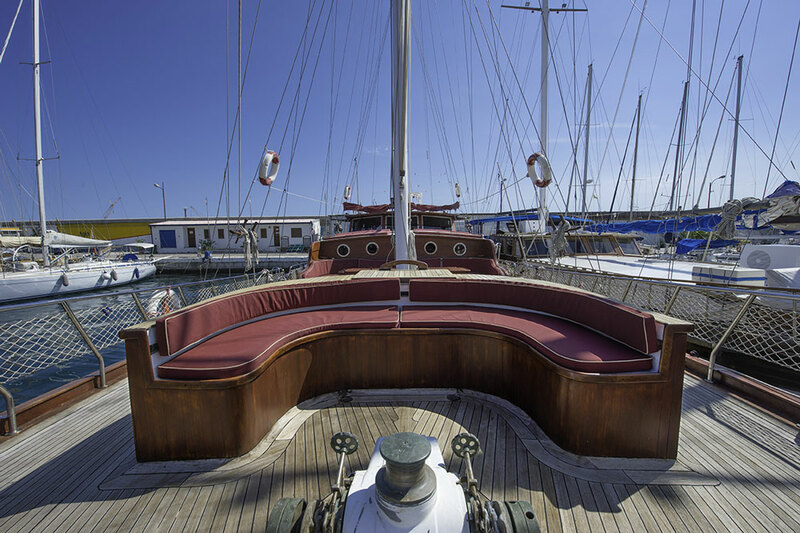 The Tersane IV is a luxury gulet launched in 2007. 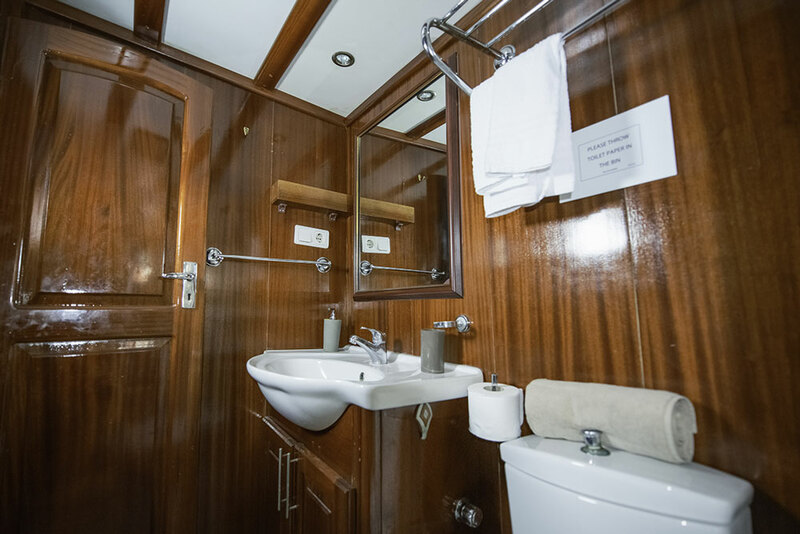 The boat is equipped with six very spacious cabins, each with en suite W/C and shower, and heating and air conditioning (individually controlled). Tersane cruises around the Aeolian Islands from Sicily. The cuisine is an important part of any holiday and and our highly skilled chef is a specialist in the preparation of traditional Sicilian dishes, such as pasta with sardines, fish & couscous, busiati (a type of pasta) and many other specialities, served in a comfortable dining room surrounded by breathtaking scenery. In the spacious dining / living room there is a bar and a large and bright sitting room ideal for relaxing, reading , and/or savouring a drink. 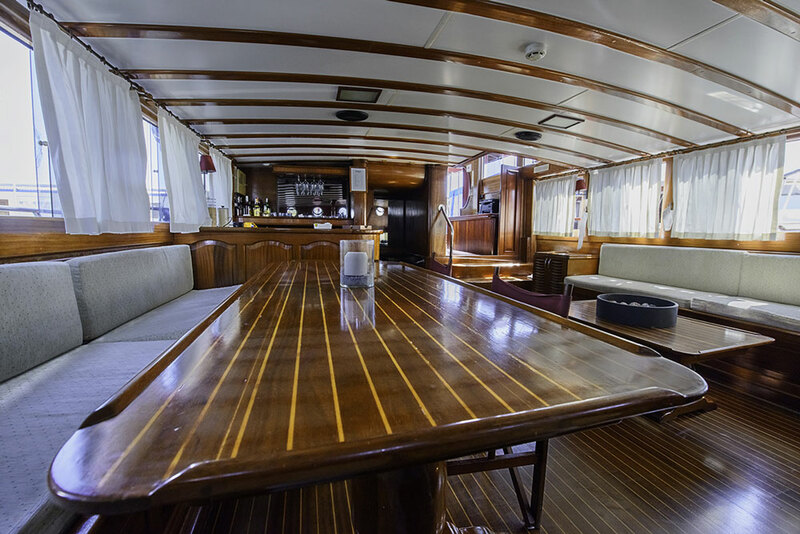 The gulet offers also large indoor and outdoor recreational and relaxing areas as well as a comfortable solarium at the bow. Tersane has canoes, snorkeling gear and fishing rodsfor clients to use. All the crew (captain, sailor, cook and hostess) will always be available to respond to your needs and make your stay on board as pleasant as possible. The Aeolian Islands are a dramatic series of islands and tiny islets off the north coast of Sicily, all created, and some still being created, by volcanic activity. Sailing from ......click here to read more.